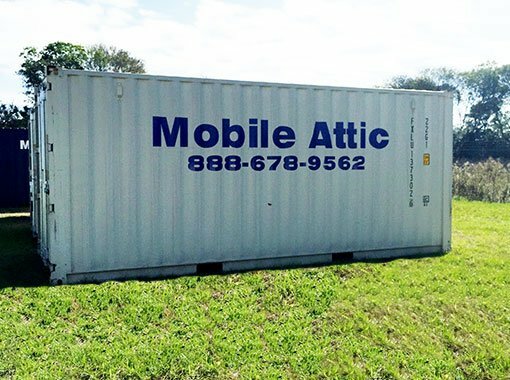 If you are in need of an easy to access storage solution, our The Mobile Attic portable storage containers can be used for on-site storage at your home or business. 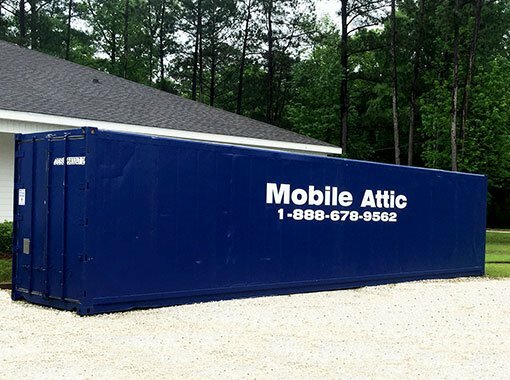 The Mobile Attic storage containers can be used for short-term or long-term storage solutions. 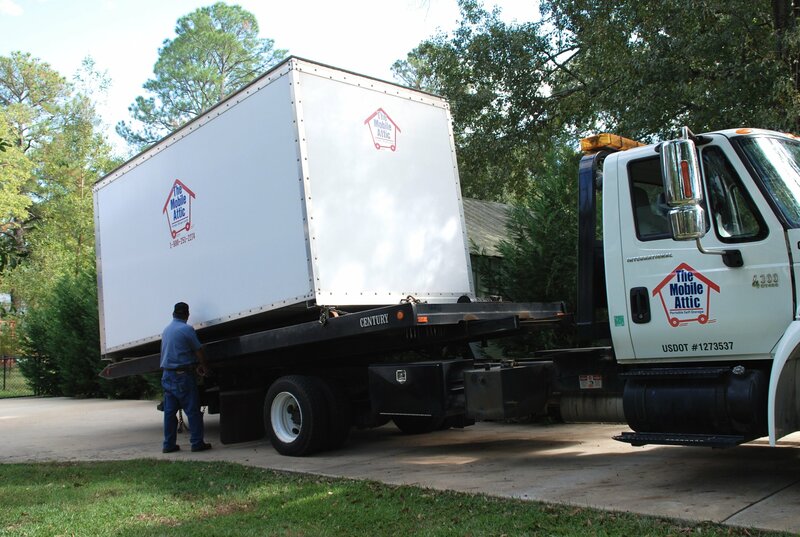 If you’re moving locally, we can deliver your portable storage container to your home. Pack your Mobile Attic storage container at your convenience. We’ll pick up your storage container and move it to your new home allowing you to unpack at your own pace. Delivery and pick-up fees apply based on location. The 16’ storage container is the only size that can be moved loaded. The 40′ storage container cannot be delivered to a residential neighborhood. We have 20′ and 40′ steel containers for rent with doors on one end or doors on both ends. Also available are 40′ High Cube steel containers that are 9′ 6″ tall. Our steel storage containers can stand up to harsh weather conditions and are designed to keep your items secure and dry. All of our steel containers for rent are wind and water tight with sound flooring. If you are interested in renting or leasing a steel cargo container or conex box please call our office at 888-678-9562 for pricing and availability. Our 20’ steel office containers for rent have a personnel door, window, air conditioner, plans table and desk. 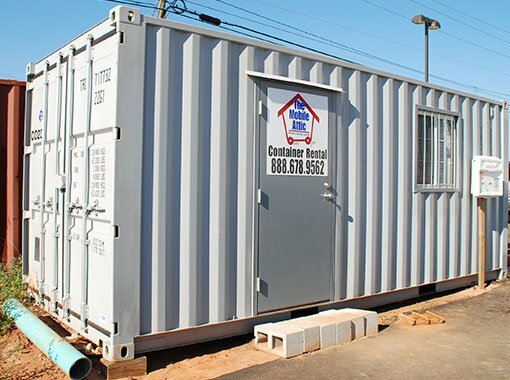 Steel office container rental is the quickest and easiest solution for a temporary job site office. 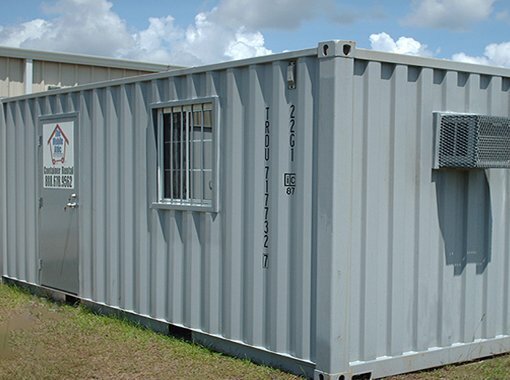 The portable steel office containers for rent have an electrical subpanel. Hook up to electricity and you are ready to go. Please call our office at 888-678-9562 for pricing and availability. Need a Quote? Contact Us Here! 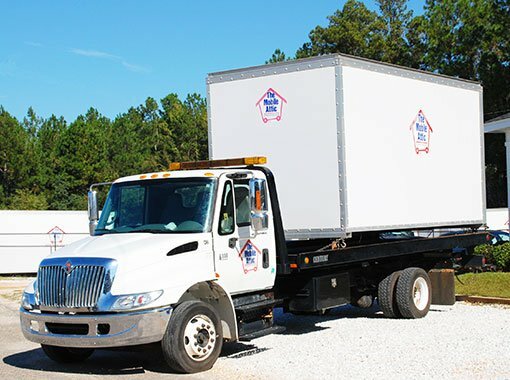 We specialize in portable storage for residential and commercial use in Southeast Alabama, Northwest Florida, and Southwest Georgia. Our service area includes Dothan and Enterprise, Alabama, and Panama City and Destin, Florida. We deliver the portable storage container to your chosen location for you to pack the storage container at your leisure. We offer short term and long term storage solutions.